Ovarian cancer is the deadliest of all gynecologic cancers in the US. That’s because symptoms rarely occur until it has reached an advanced stage. While it can be treated successfully at stage I or II, most women aren’t diagnosed until stage III or IV, and at these later stages, the cure rate is as low as 10%. What you may not know is that there is a test that may be able to detect ovarian cancer at an earlier stage than pelvic examination. It’s called transvaginal ultrasound (TVUS). The problem is that national guidelines do not advocate TVUS screening—except for women at high risk for ovarian cancer—because there have been no randomized controlled US studies showing that its widespread use will improve survival. 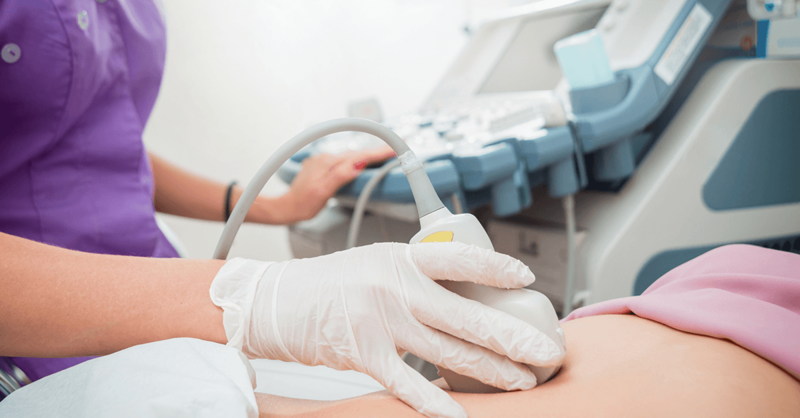 However, findings from a recently published 30-year study indicate that TVUS screening may detect ovarian cancer at an earlier stage than routine pelvic examination. The study: Researchers at the Markey Cancer Center enrolled 46,000 women considered at risk for ovarian cancer—they were either age 50 and older (yes, that’s all it takes to increase a woman’s risk) or age 25 and older with a family history of ovarian cancer. These participants were given a yearly TVUS screening and followed for 30 years to see if screening would affect stage at detection and patient outcomes. The researchers compared the participants’ stage at detection and outcomes to those of unscreened women with clinically detected ovarian cancer who were referred to the cancer center during the same time period. The findings: Seventy-one of the study participants were diagnosed with ovarian cancer over the course of the study. In two-thirds of these women, the cancer was found in stage I or stage II. By comparison, two-thirds of the clinically-detected patients had stage III or stage IV cancer at the time they were diagnosed. Another finding: The 10-year survival rate for study participants with screen-detected ovarian cancer was more than 30% higher than that of unscreened women with clinically detected ovarian cancer. So what’s keeping ovarian cancer screening from being adopted? There will need to be additional well-conducted studies—even longer and larger than this one—showing that screening is cost effective and prolongs survival. One barrier to “cost effectiveness” is that most tumors discovered by screening do not turn out to be cancerous. In the Markey study, among the women whose screening revealed ovarian tumors, only 25% were cancer. Although the procedure to remove the tumors has a low complication rate, needing to operate on four patients to find one cancer increases the cost of screening. Also, ovarian cancer is relatively rare—the lifetime risk among the general population of women is just over 1%. Advances in genetic testing may soon be able to narrow down who can benefit most from TVUS screening. Screening is not recommended for women in the general population. However, women should have an open discussion with their doctor about their individual risk for ovarian cancer. For instance, if you have a mother or sister with a history of breast cancer or ovarian cancer, your lifetime risk could be up to 5%. If you tested positive for a BRCA1 cancer gene mutation, your lifetime risk could be 40% to 60% (in this situation, some women elect to have their ovaries removed to prevent cancer, a procedure that is often covered by insurance).